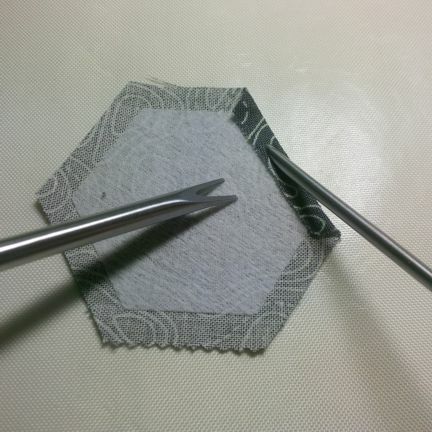 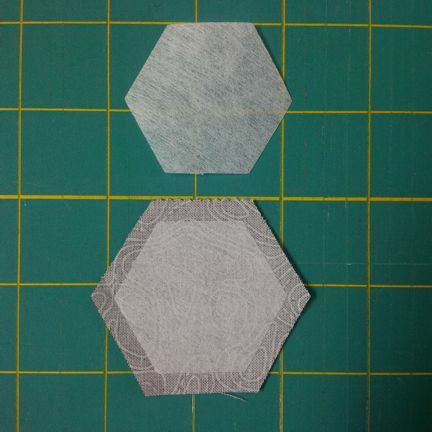 50 hexagons with one-and-a-half-inch sides precut from fusible interfacing. 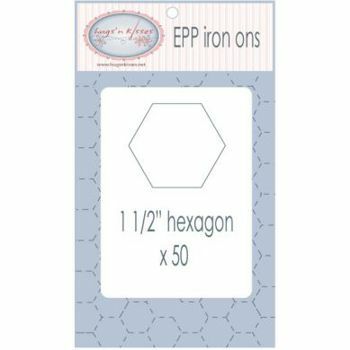 50 hexagons with one-and-a-half-inch sides precut from Hugs’n Kisses Applique Paper. 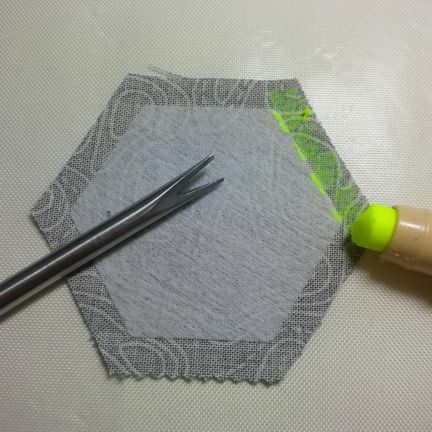 This paper is 50% soluble, 50% non-soluble natural fiber with a light glue coating.